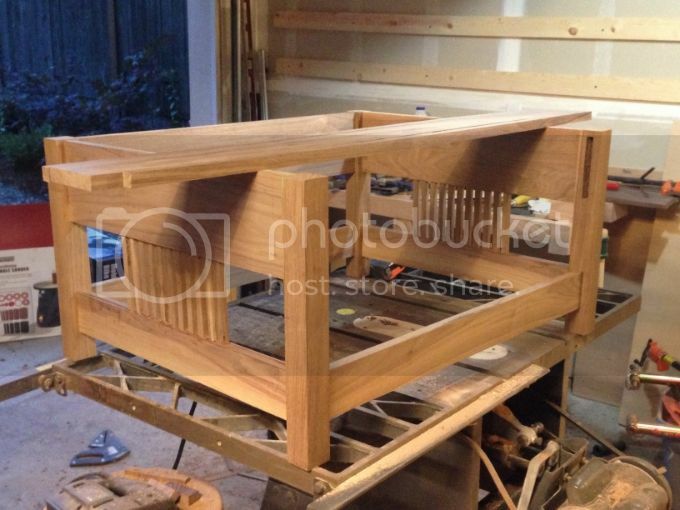 While I love me some Hand planes, Workbenches, Tool boxes and the like….my primary objective in woodworking is furniture making. I just wanna make quality furniture, and lots of it! So I thought it would be cool to have a forum on the subject of furniture making. We can post questions, techniques, and progress of our current builds…..anything to do with building and designing furniture. We can post just for fun, or in hopes we learn something from each other along the way. 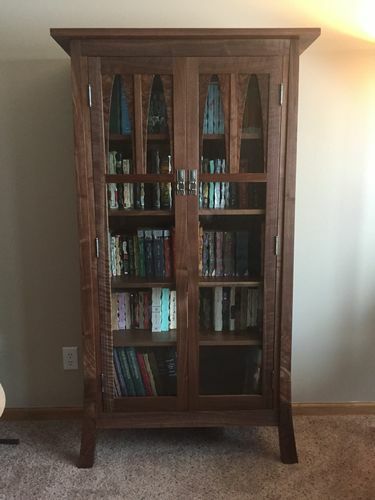 Here’s one my personal favorites, it’s a walnut bookcase I made for my wife. Otherwise, here’s some furniture and furniture maker sites we can draw inspiration from. - The knots can be cool looking, but they must be respected. Be prepared for a couple of those buggers to come loose while machining the stock. Usually I’m arranging the rays/flecks in quartsawn woods to look good. This time I’m doing it with the knots. 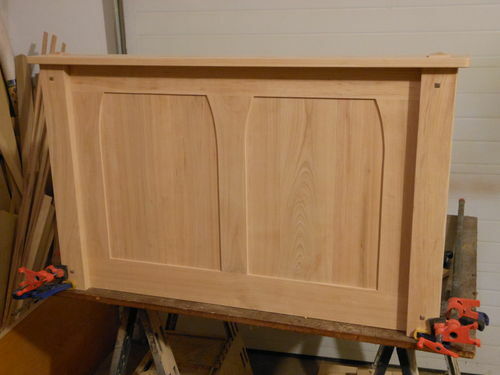 Here’s a potential bookmatched door panel. Ya, I use weatherstripping foam to cushion my solid panels. How many Morris chairs have you made and how did you learn how to make them? 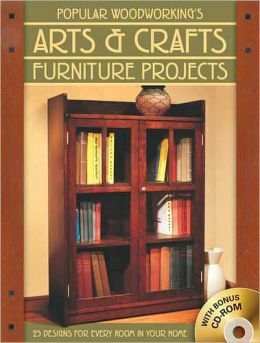 The Morris chair above is made exactly to the plans in this book. Well, except the ottoman. I just came up with that to match. I’ve made two chairs like that. I don’t even have pics of the other. I’m getting better about that. There is another sweet chair Schwarz made in that book pdf here. I’d like to make that one too. I’ll need to round up some nice 8/4 qswo for that one. A frend ordered two curved-arm morris chairs that I’ll make this winter. Should be interesting. The world of furniture, I find it engrossing. Shapes and forms and manufacturing techniques, there’s a lot to wrap your head around. There’s all sorts of things I like and all sorts of things I don’t, but I have an appreciation for the way any piece can look at home in the right surroundings. Looking forward to what this thread might bring. A little more than a year ago furniture was probably the most boring conversation I could have with anyone. I hated furniture. Whatever I always thought its functional and that’s it. Now I’m absolutely nuts about it. Even cheap furniture I can learn from. 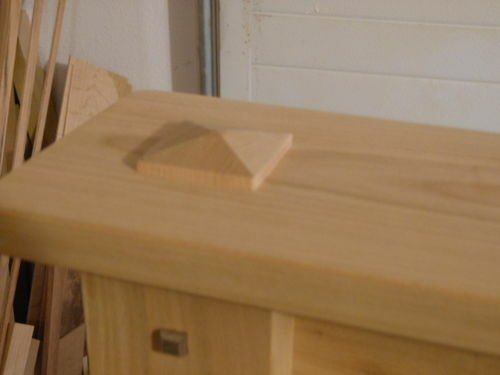 I’ve become a huge student of furniture and love cutting dovetails by hand. But I also love to run my table saw. Now I’m reading every bit of information that I can on the subject. I love seeing the work of others. And I appreciate the comments and critiques from all. I figure all of it can lead to more discovery. I’m currently working on a dresser for my little wife. 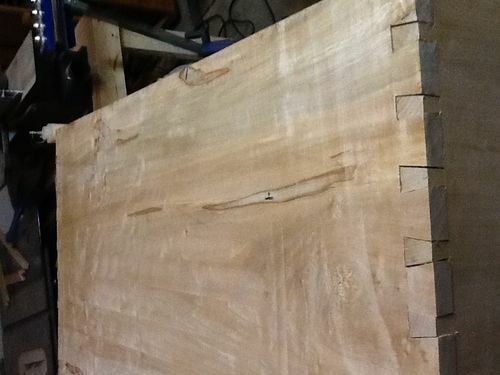 It’s going to be dovetail heaven. 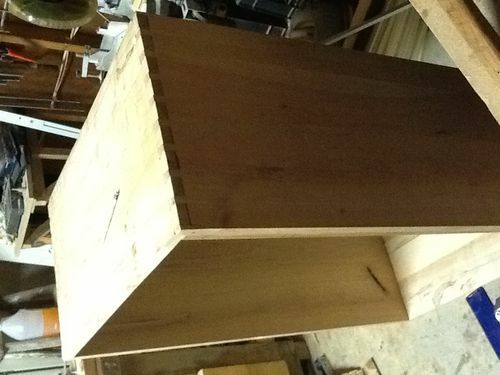 Case is dovetailed and there will be dovetailed drawers and sliding dovetail groves for the drawer frames. I think I have a sickness…..
Well said fellas. I’m borderline obsessed with furniture design and theory myself. It started with Stickley’s stuff. I was just drawn to the simple, timeless designs. I read everything I could get my hands on concerning the A&C movement. Now I’m on to G&G, shaker, and whatever else strikes my fancy. As I said, I started by making furniture from plans. And I thought I’d be ok with that. But now I’m getting the itch and confidence to design some stuff myself. Kaleb- sweet doves. What kind of wood is that? 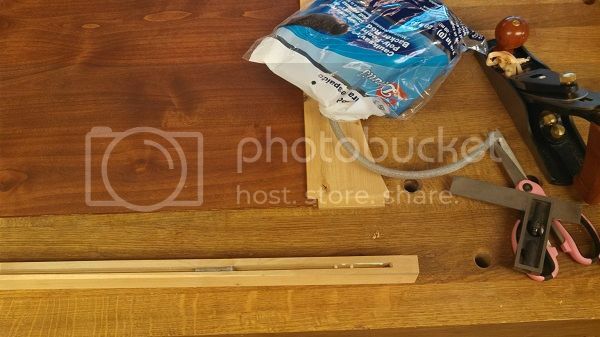 The project got a little sidetracked because I’m building a bedside valet for someone for some extra cash. Your morris chair is beautiful Red and that coffee table is really looking good as well jmartel. 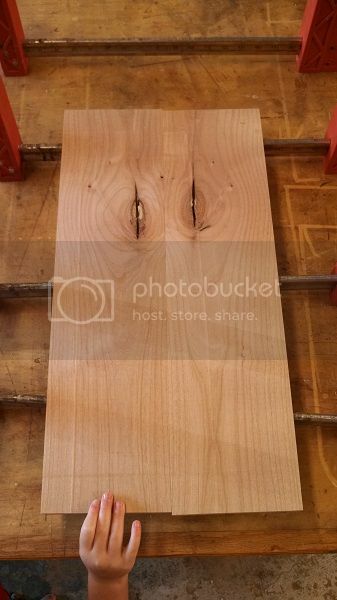 A cherry trundle bed for one of my sons is the current project. He likes the subtle arches I drew in the plans, and is happy with the design. That’s what counts I guess. So far I have the footboard completed. After my coffee table is done, a morris chair is next on the list, also out of walnut. Pintodeluxe!- another cat I was hoping would join the fun. Great work. Great blogs. Share some of you magic here brother. The headboard looks great. I like the design. 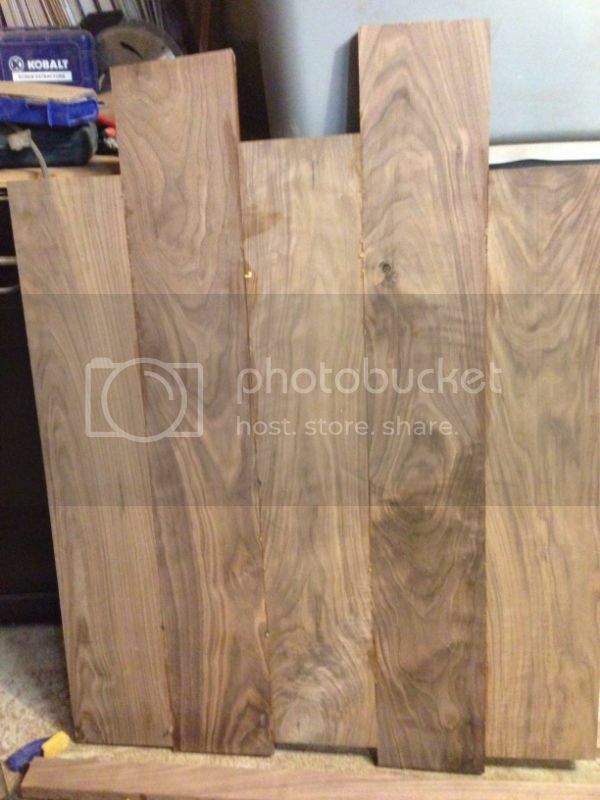 jmartel- I think you said that walnut was pricey…it was worth it. It’s reasonable around these parts, but stuff that nice can be harder to come by. Tell us about the upholstery on that Morris chair and foot rest, Red. Have it done, or ? Ya Smitty, I had a local upholsterer sew the cushions. 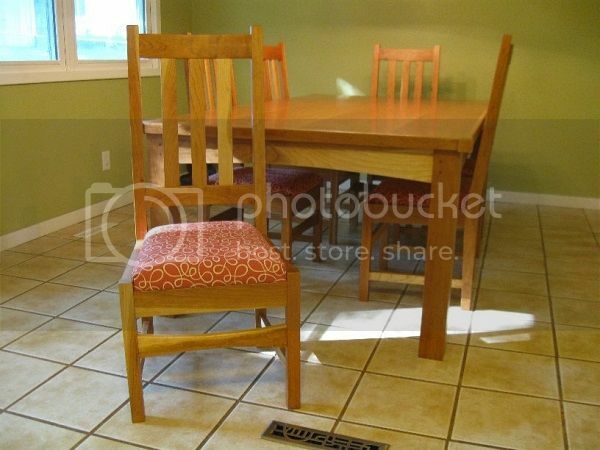 I can wrap/staple cushions (like my dining chairs below), even stretch jute webbing, but sewing is another story. Basically I just asked for referrals at a local fabric/upholstery store. Glad I did. Met this guy who works out of his garage too. We’ve become friends. Best part…he lets me get leather at his cost;) He only charged me $100 labor to make the cushions. I try to refer him as much business I can.